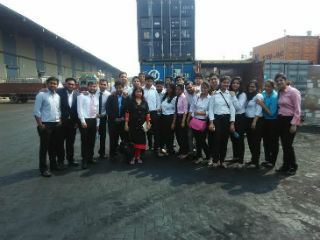 Students of PGDM (International Business) 2015-2017 Batch went for an industrial trip to PORT Inland Container Depot, Tughlakabad, New Delhi on 19th March 2016 to gain practical exposure on Export/Import procedures. The collector of customs gave presentation related to the history of INLAND CONTAINER DEPOT, TUGHLAKABAD. 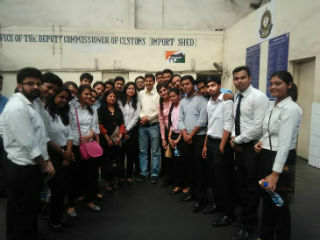 Further he gave brief introduction to the students : how ICD, Tughlakabad (TKD) caters to the needs of importers and exporters based in Northern India. 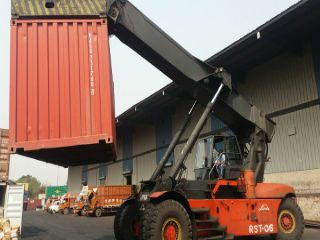 Further he highlighted ICD is equipped with modern facilities such as rail mounted gantry of 40 metric empty lifting capacity, rubber tyre diesel powered cranes, billoties and lift trucks, etc. Students also interacted with the staff of ICD and were shown videos on the commodities being imported through ICD, include un-denatured ethyl alcohol, poly resins, ethylene – vinyl acetate copolymers, unwrought nickel, linear low density polyethylene, accessories of the motor, plastics and articles, copper rods, copper wire. On export side, major items being exported through ICD are leather garments and leather products, readymade garments, machinery and agricultural products etc. Students cleared all their queries and received an interactive exposure. 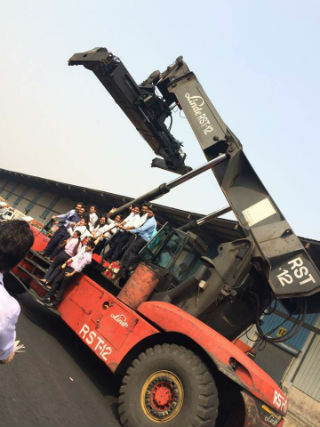 Overall it was highly interactive and learning visit for the students on the concepts related to exports, imports and facilities of transportation and customs clearance of import and export cargo.